. . . On the chilly morning of October 26 in the highland municipality of Santa Maria Chiquimula about 125 miles from Guatemala City, residents came out to participate in a community vote deciding whether or not they would resist the exploitation of natural resources. 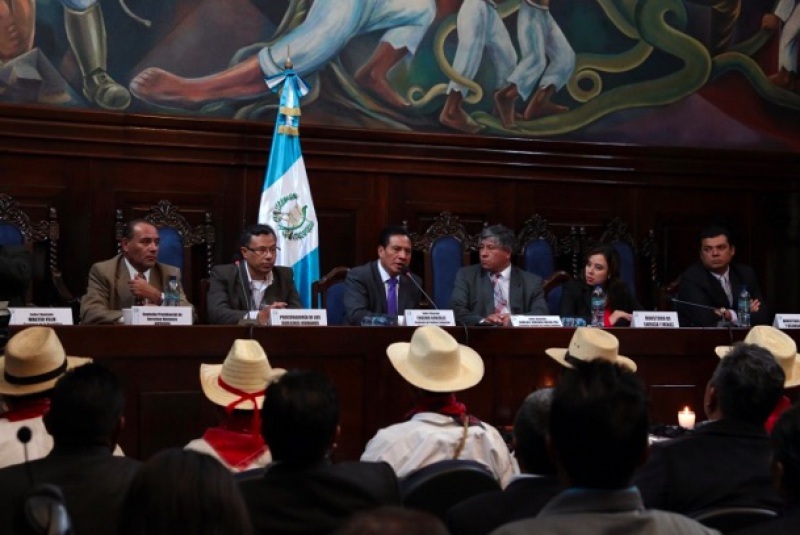 The consultation was held in response to the Guatemalan government’s issuing of a permit to a Guatemalan subsidiary of the Italian mining firm Enel for the exploration of geothermic energy within the municipality. As in past cases, the government failed to consult the indigenous people prior to issuing the permit. The practice of the community consultation represents a form of indigenous direct democracy, a “non-Western form of social organization,” according to said Nim Sanik, of the Kaqchikel Maya branch of the CPO in the department of Chimaltenango. It also serves as an important tool to the indigenous communities as they organize to defend their lives and territory. According to Sanik, the process of the community consultation comes from the Kiche Mayan holy book the “Popol Vuh.” In a consulta, every resident within a community over the age of seven has a vote and a part in the decision making process for the community. The large consultas can take months to plan to ensure that everyone is equally informed about what the vote is on. In the end, the results represent the consensus of the community. . .
Communities have increasingly returned to the consulta to express their disapproval of mining and extractive projects in their territories. The consultation held in Santa Maria Chiquimula is the 73rd consultation held since 2005 within the Mayan communities of Guatemala. In each case, the communities have voted overwhelming against the mega-projects in their territories. For residents, it is yes to life, and no to mining. Back in Santa Maria Chiquimula, by the end of the day, the 40,000 residents overwhelmingly declared their resistance to mining operations within their communities, with over 39,000 people voting against the exploitation of natural resources in the area. From young to old, community members expressed a deep understanding of what the mining operations would mean for their livelihoods and environment. 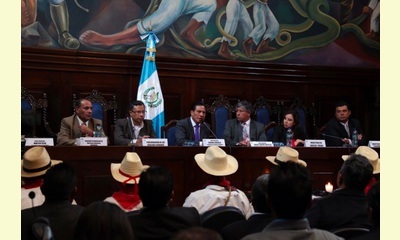 On November 4, the community leaders of the 18 communities of Santa Maria Chiquimula delivered the official results of the consulta to governmental ministries, including members of the congressional commission on indigenous peoples, the minister of mining and energy, and the minister of natural resources.